Once dubbed “The Queen of Nice,” Rosie O’Donnell’s public image has changed in the years since her daytime talk show ended—but one thing that hasn’t changed is her dedication to her children. 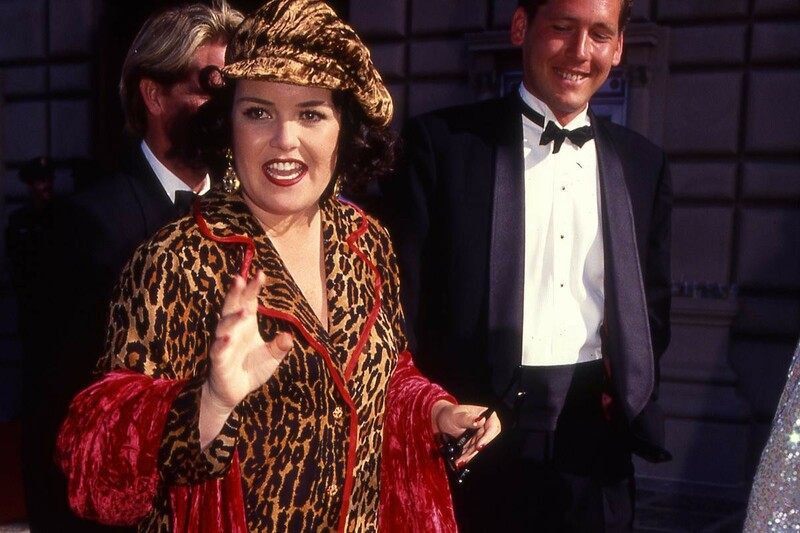 The Solo Mom of Parker, Chelsea, Blake, Vivienne, and Dakota came out as a lesbian a couple of months before shooting the last episode of her wildly popular Emmy Award–winning daytime talk show, The Rosie O’Donnell Show, which ran from 1996–2002. During a stand-up routine at Caroline’s Comedy Club in New York City, she famously said, “I’m a dyke!” and followed the announcement with a two-hour interview on ABC News. “I don’t think America knows what a gay parent looks like: I am the gay parent,” she told Diane Sawyer. At the time, she was trying to shine a spotlight on gay adoption issues; she and her partner had been denied the right to adopt a foster child they’d been caring for. “I know I’m a really good mother. I know it. I’m a really good mother,” she said to Sawyer. The “Queen of Nice” label went by the wayside after O’Donnell left her show and became a more and more outspoken and controversial personality. As a cohost on ABC’s The View, the liberal O’Donnell often stirred up heated debates, getting into feuds with Donald Trump, costar Elisabeth Hasselbeck, and other conservatives. The twice-divorced O’Donnell has weathered some difficult days. She adopted Parker and Chelsea as a Solo Mom while she was hosting The Rosie O’Donnell Show. To make life easier for the new mom, the show’s producers built a nursery right in the studio at Rockefeller Center. O’Donnell began dating Kelli Carpenter in 1999, and the couple adopted Blake that same year. Carpenter gave birth to Vivienne in 2002, and the couple married in 2004. After a painful split with Carpenter in 2007, O’Donnell married Michelle Rounds in 2012—the same year she suffered a nearly fatal heart attack. O’Donnell and Rounds adopted daughter Dakota in 2013 but divorced in 2015, making O’Donnell a Solo Mom, once again, with five children ranging in age from two to 20. O’Donnell’s take on mothering? “I think what children need is love, security, stability, consistency, and kindness,” she has said.